Neil Armstrong, Apollo 11 Commander, became the first man to step on the moon on July 21, 1969. 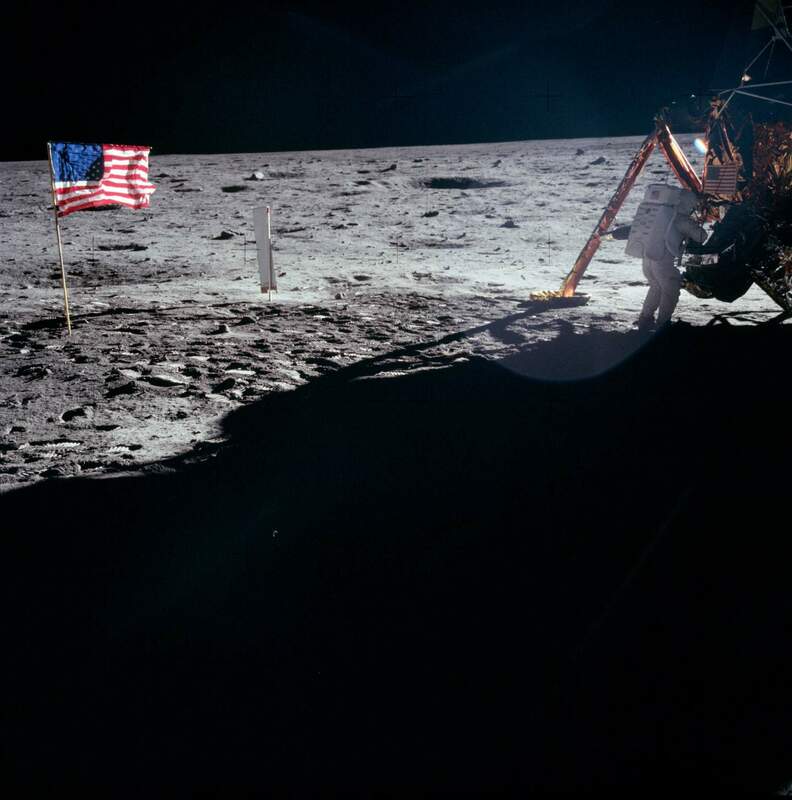 He and Lunar Module Pilot Edwin E. "Buzz" Aldrin planted the United States flag where they landed on the moon. As the nation celebrates the 50th anniversary of landing a man on the moon, July 20, 1969, Raytheon joins the Smithsonian’s National Air and Space Museum as a sponsor of its Apollo celebrations to ignite interest in future space exploration and innovation. The museum’s commemoration of the Apollo program will continue through fall 2019. Apollo-themed lectures: A future-focused lecture program about the Apollo program and human spaceflight, featuring thought leaders and influencers from government and space-related industries. Events will take place in spring and fall 2019. STEM in 30: A classroom broadcast for middle school students that uses the story of the Apollo missions to explore STEM topics. The broadcast will focus on two groundbreaking technologies created by Raytheon for Apollo 11—the guidance computer and integrated circuit transmitter tubes—that triggered decades of further innovation, including the technology that powers all of today’s smart devices. More information and updates on these programs and events, as well as rich historical content on the Apollo program, can be found on the museum’s Apollo website. Raytheon’s legacy in space includes manufacturing the guidance computer the Apollo 11 crew used to navigate to the moon and back safely in 1969, as well as the transmitter tubes that beamed Neil Armstrong’s legendary “That’s one small step for man” message back to Earth in live broadcasts. Today, Raytheon is a leader in dozens of space-related capabilities, from helping launch satellites to aiding scientists as they probe the deepest reaches of the universe. Raytheon’s first major engagement with the Smithsonian occurred in 2012, when its MathAlive! traveling museum exhibition debuted at the Smithsonian S. Dillon Ripley Center’s International Gallery, attracting a record 345,000 visitors to the gallery.